April's New Release (I) ! In this series, the products are made with intricate lace and embroidery designs. 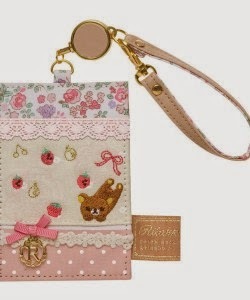 The floral prints and gold "R" charms really helps to add that feminine touch to the items. Like all previous San-X Rilakkuma products, the lifestyle items are usually very functional and practical for usage. 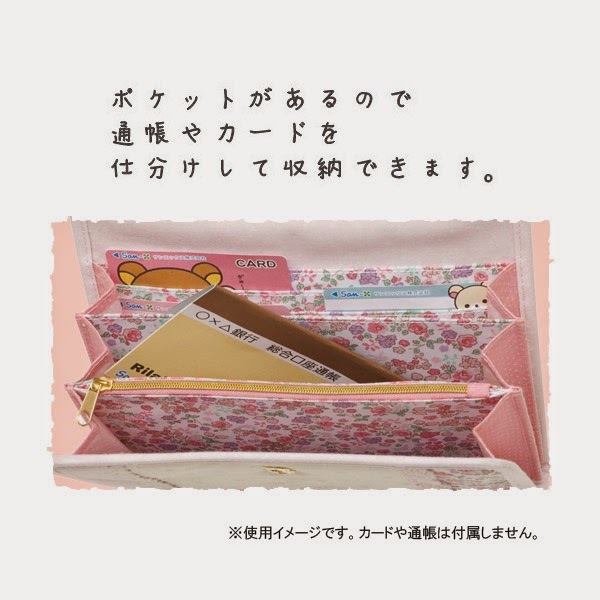 This compact wallet comes with several slots that are capable of storing up to 9 cards! It also comes with a 2 compartments for storing coins. The gold clip for opening and closing the coins compartment is made of really good quality too! 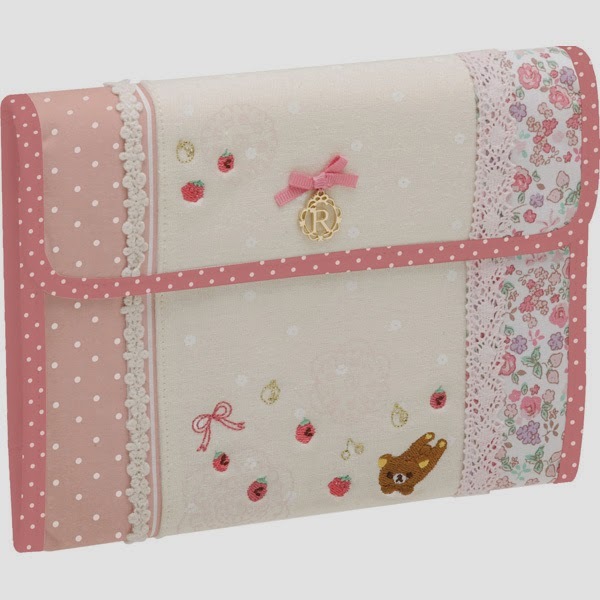 One of a new item that we are having in store is this note book size Rilakkuma cards/documents organizer. It comes with slots and compartments that can help you keeps your cards and documents organized. 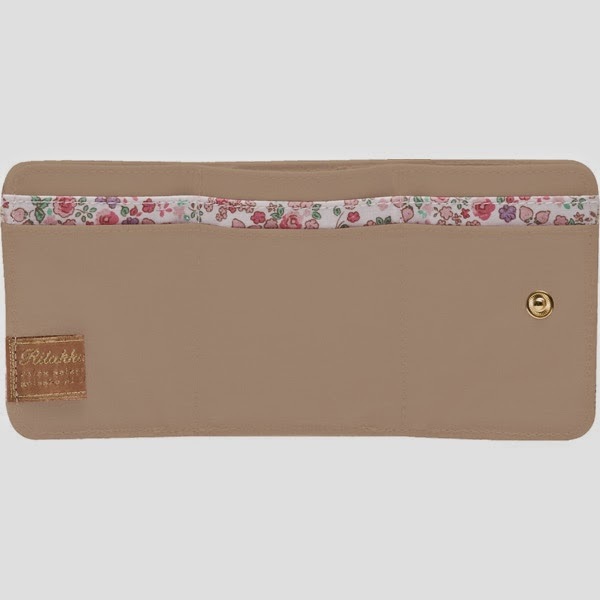 You can use this organizer to keep important documents like bank cards or bank books when you are not using them. Rilakkuma Shop carries both pink and blue for this series and to be honest, we are totally in love with them! 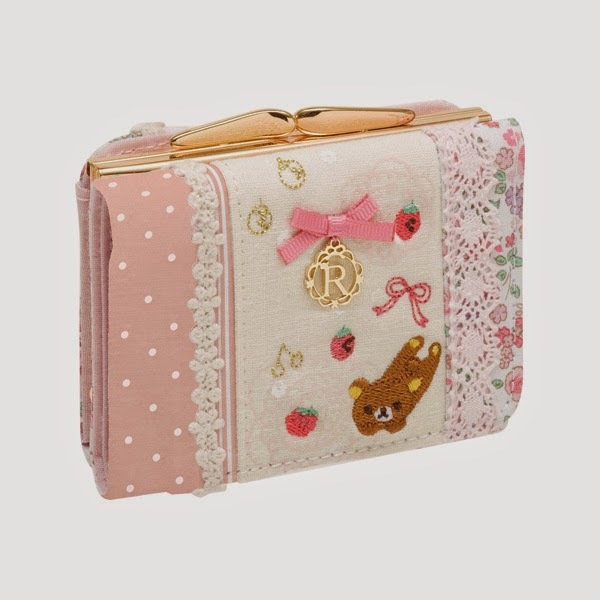 Our favourite item from Rilakkuma Cotton Life Series has got to be this! Major love for this! We are using this to keep our public transport card safe! The clip strap helps us to clip the card case onto our bag so we will not forget where it is and the new feature, the elastic extension string helps us to tap our cards without removing the strap! So so so convenient! We really love the Japanese for their user friendly designs. To view the entire series, head over to our webstore now!